Change is happening all around us. It is time to change the building industry using the technologies that have already changed the rest of the world. The marriage of BIM and GIS is a powerful integration of data. However, for many people, this was seen as a complex, highly technical task to implement. This Open Source Project of ​the buildingSMARTalliance created a prototype extension of GeoJSON to view BIM, GIS and FM. Try it yourself here. One can spend hundreds of thousands of dollars and years of time to create a single BIM for large, complex projects. Furthermore, the process of creating that BIM gets entangled with even more complex discussions about Levels of Detail (LOD) requirements and definitions. All too often, people lose sight of understanding the first, initial level of time and effort needed to make a BIM "usable" for something. This is what we call the "Minimum Viable BIM" (MVB). Register to learn more about MVB. Program requirements from owner processed through Program2BIM are opened in Revit for the designer to complete the project. Data that originated in owner's system is now in Revit. Program requirements from owner processed through Excel templates are prepared and edited. They are now ready to generate a BIM using the Project Generator. Data can come from many sources even if it has to be "scraped" from analog formats. In this example, program data for a new building is extracted from narrative text and processed through an Excel file to generate BIMs. Program2BIM or SEPS2BIM Excel files are used to create the initial BIM. Program requirements for spaces and equipment automatically generate BIMs in ONUMA. The designer can then continue layout or export to other applications such as Revit and SketchUp. 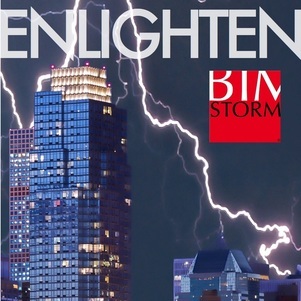 BIMStorm BIM Cloud open source prototype for uploading COBIe and other data to the cloud and creating web services in real time that can be consumed by other apps edited and then exported back to COBie. An example Asset Tracking App is shown using the data after it is loaded into BIM Cloud. BIM can support Facility Management. An introduction to the collaboration with the Solano Community College Facilities department and the new Biotechnology and Science Building that is nearing completion. Preparing a Revit BIM to be used for facility management. Solano Community College has a Biotech building under construction and as a participant in the BIMStorm they are sharing BIM data in Revit. This series is a live walk through of the processing of data in the BIM as well as in COBie to deliver it back to the owner for use during the lifecycle of the building. How Solano Community College is instructing their AEC team on the Biotech project to collect and submit data to feed into a COBie format for use on facility management applications. Facility Director, James Buchanan introduces the Math and Science building that is part of the master plan for Solano. A design exercise starts to layout this building and use this design with Project Frog to take the design to fabrication. Join the BIMStorm to access the full recording. Project Frog explains their product for the Solano Math and Science Building in the BIMStorm.